There are many different reasons why people end up feeling cold all the time, often with chills especially after meals. In a majority of cases, this symptom is experienced by individuals who suffer from other health related issues, including low energy levels and fatigue with being always tired. With regards to people who suffer from a constant chill – a feeling of coldness that is typically accompanied by shivering and pallor of the skin – there are two major reasons for it. These are: reduced blood flow to body tissues and organs, and low metabolism. Blood flow is mainly controlled by a single factor in the human body. 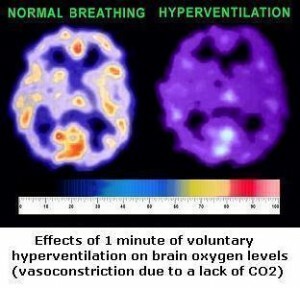 The factor is that of the automatic respiratory pattern. Through clinical evidence, it is easy to deduce that modern than 90% of humans these days have too deep, and too fast automatic breathing. It is rather common for people who are in the last stage of HIV-AIDS, and cancer to end up always feeling cold with nearly constant chills . This commonly happens together with common night sweating and cachexia. It is common for these people to have less than 10 seconds for the body oxygen test. 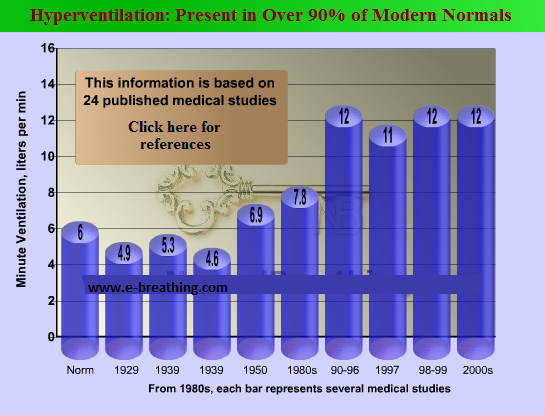 It has been found through several clinical studies that these groups of people can have around 30-50 breaths per minute for their respiratory frequency at rest, whereas the norm is merely 10-12 small diaphragmatic breaths per minute. The best solution for this is to slow down own breathing as this is going to help in enhancing oxygen supply and circulation. Feeling of being always cold may additionally signify liver or thyroid related problem (along with reduced hunger and a bit of weight loss). But the fact of the matter is that these conditions are also associated with low body oxygenation. Most importantly, if you feel cold nearly all the time, and have weight loss although you have normal meals, then it may indicate the presence of GI parasites including round worms and flat worms. If you tend to feel cold after meals, then you must know that it can indicate extremely slow absorption of nutrients within the gut. There are typically 2 basic factors that play a part in triggering this effect: low glycemic index of foods and poor circulation (with low body O2). For instance, if an individual who has around 20 s for body O2 starts his/her meal with barley or a salad (GO 20%), then his or her blood sugar increase is going to be extremely slow. Moreover, his/her digestive organs will need all the more energy for peristalsis. What’s worst is that such a person might also develop a headache together with feeling cold. People such as these (who have poor blood sugar control) tend to suffer from reactive hypoglycemia and reactive hyperglycemia. It is also rather common for them to experience feeling hot and cold (hot right after their meals, and cold at times when their blood insulin is excessively high, and too much blood glucose is driven into fat cells). At times people have this unpleasant sensation of chilliness, which only comes up when it is cold outdoors, or during the winters. Such symptoms at times occur even when they have around 30-40 s for the DIY body oxygen test. The best solution for this problem is to drink 3-4 tablespoons of dairy cream (or half-half-cream, or even whipped cream). However, bear in mind that yogurt, milk, butter and cheese will not help in this regard. One of the rarer symptoms in this regard is that of feeling cold in the head, chest, leg, stomach or throat. There are 10 times fewer people who suffer from symptoms in each of these body organs, as compared to those who have chills in their entire body. Moreover, feeling cold in particular organs of the body tends to disappear with increased body oxygenation, and more physical exercise. “As it was previously discussed, some people with digestive problems are not able to safely run due to ulcers and other abnormalities in their digestive organs. As a result, in order to restore their health, they often focus on gentle types of exercise, such as cycling, using exercise bikes and safe types of weight lifting. When these people recover their GI health partially and can start running safely, they may experience chill, a feeling of coldness, which is typically accompanied by shivering and pallor of the skin. The chill basically signifies that the body is ready, and it requires running so that the metabolism, circulation, digestive health and other vital functions can be normalized after such a long period of physical ‘semi-hibernation’. For this reason, if you experience such a sensation, start running over a soft surface, and continue to increase intensity and duration gradually. To put it simply, running with purely nose breathing is the perfect means of resolving this issue related to feeling cold during pregnancy, after surgery, and also for people who do not jog with strictly nasal breathing. You need to note here that although many people feel cold after exercise, such as weight lifting and cycling, but never after running. While you’re at it, just remember that in order for you to completely get rid of feeling cold, it is necessary for you to achieve over 30 s for the morning body oxygen test.